Does that “Sense of Place” refer to your ” home” ? Is your “home” intrinsically linked to your “Sense of Place” ? 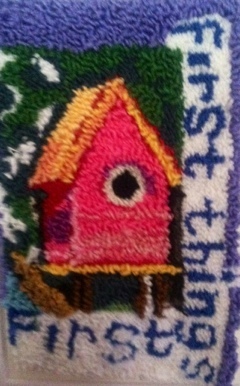 Here is another tiny punch needle of a birdhouse. Birds find a home wherever they go, sometimes to return to the same place, sometimes not.